An Amazing Kick Off to Sunday Nights. We meet a strange new character in the opening that we will all be anxiously waiting to find out about. He gets a message that says simply, “Broken.” Then we are taken to fairy tale land to meet a few new princesses before finding out how the residents of Storybrook are handling the curse breaking in a flood of magic and memory. Some were happy to be reunited with their stories and others are not having as much fun as they thought they would and we found that Regina is not the most evil of them all. An evil, soul sucking wraith is really nothing if you think about Emma sending Henry off with Red, who now remembers who the big bad wolf really is, it might just be me but that does not seem like very good parenting. Everyone works together to try to get the wraith back through to a different realm but it ends up taking a few hitchhikers back with it. Emma and her mom Snow make the jump back to fairy tale world and are found by the new princesses and blamed for all that happened since the curse. Meanwhile, back in Storybrook Regina and Mr. Gold, with a freshly broken heart go back to their old ways and Prince Charming and Henry turn Emma and Snow Whites apartment into a bachelor pad while they plan a way to rescue the ladies. 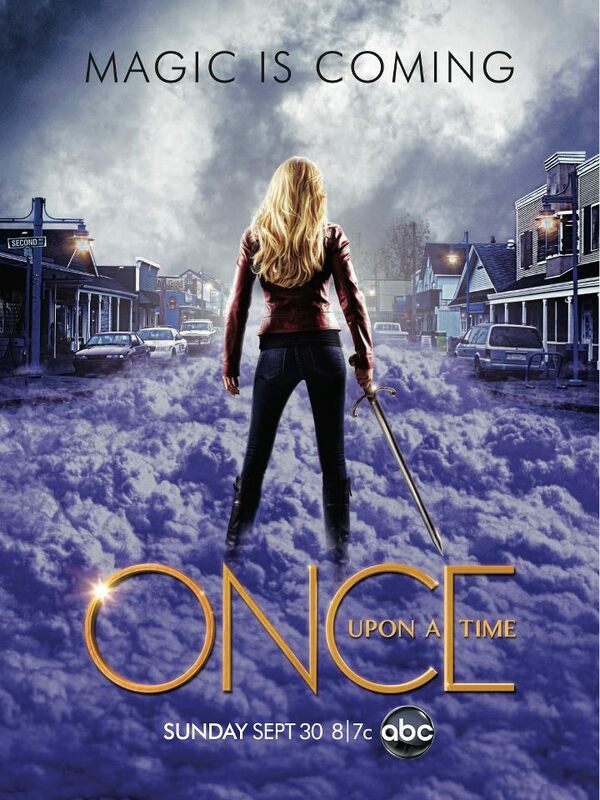 Now we wait for next week and ask ourselves, who is this new mystery man is and how magic will play out in Storybrook, will Emma and Snow make it back to Maine or will everyone else make it to the enchanted lands beyond in their rescue effort. I mentioned before that Dr. Whale was someone to keep an eye on and we got a few more clues about him but still no answers about who he really might be. Dexter, Dexter, Dexter. It is hard to think that this is the next to last season of my favorite show but it sure is adding an edge to the proceedings and a tension that picks up from the first second and will last until the very end I am sure. Michel C. Hall will always be one of the voices in my head and this will always be in my top 5 favorite shows. We pick up episode one right where we left off with Deb Morgan walking in on her brother in his most personal of moments. Caught in the act, Dexter does his best to lie his way through it and convinces Deb to cover up what he did in the chapel to Travis Marshall. Deb being who she is though puts the pieces together and brings it all back to the beginning with The Ice Truck Killer in season one. A missing blood slide found at the scene may be Dexter’s undoing if anyone but Maria LaGuerta had found it. She was never very good at her job or anything but sleeping around so we can keep our fingers crossed for our dark defender on that point. When the going gets tough, Dexter needs to do what he does more often but now Deb is going to keep him under her thumb because she knows who he is and all the secrets are out in the open, both of them are remembering things neither wants to remember from their childhoods. Carrie Matheson had some issues last season and we found her living a quiet life with her sister and father, picking vegetables in the garden and working at a low stress job. But of course that could never last and Saul makes a call to get her to help with one of her assets from before she was kicked out of the CIA. Right from the start it becomes obvious that Carrie was not ready for this adventure. There was a recent bombing that they are investigating and while Carrie is off working on the other side of the world, Congressman Nicholas Brody is working hard at home. With an offer to become the vice president, nothing can stop him from his mission and he steals documents, and comes clean to his family about being a Muslim and all kinds of new issues at home. It is just a matter of time before he starts sleeping with Carrie again. It does not seem like anyone is going to have it easy this year and Brody’s wife seems to be catching on really quickly. Nothing is as it seems and if last season taught us anything, it could all go wrong at any second when everyone is so close to the edge. This is by far the show I am most into this season, there are so many ways it can be taken and knowing Showtime, it will leave us guessing until the very end.